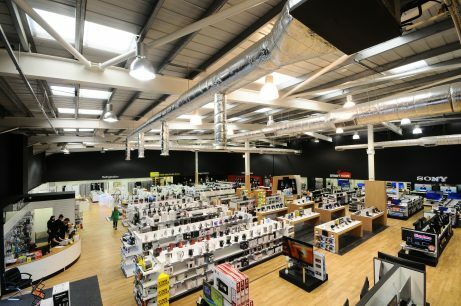 As the country’s fourth largest specialist electrical retailer and second largest rental provider of home entertainment equipment and kitchen appliances, Hughes is a complex multichannel B2C retail business with a network of stores and a significant online presence. The Hughes Trade division is a rapidly growing B2B distributor and the company also has a further division dedicated to the Smart Home. Hughes needed to map their dataflows, review their policies and procedures and perform a detailed gap analysis to help them better understand their data and implications of the GDPR across their many business units. The DPO Centre worked alongside Hughes’s inhouse data protection officer to provide guidance and support. They ran staff training sessions, mapped the organisation’s data, identified high risk data sets, conducted impact assessments, drafted and implemented a suite of GDPR compliant policies and put together a prioritised action plan to address the main issues. The scope of their requirements means Hughes has now appointed a full time inhouse data protection officer who can call on the DPO Centre when required.